NBA 2K18 for Android and iOS: Can your phone run it? We recently published a guide for NBA 2K18 for Android and iOS to help potential new players decide whether to purchase the game or sit this season out, as well as answer the common questions posed by our readers. In that article, we also touched on the minimum specs required to run NBA 2K18 and gave a couple of suggestions to get the best experience possible. Today, we’re diving deeper into the game’s performance across different devices and operating systems with this simple video. We’ve listed each device’s core specs to help you answer the all-important question, “Can my phone run this game at all?” Use this as a starting point if you’re still trying to figure out which visual options to choose to strike the proper balance between gorgeous graphics and performance. What we did was we installed NBA 2K18 on multiple smartphones and found the highest graphics settings the game is playable in. We’re talking budget releases all the way to flagships like the Apple iPhone X and the Huawei Mate 10. We installed NBA 2K18 on multiple smartphones — from budget handsets to flagship devices — and found the highest graphics settings the game is playable in. Use this to gauge if your phone can run the game. Of the devices we tested, it’s the iPhone X that consistently plays NBA 2K18 at high frame rates. However, since the game is not optimized to run on a wider format, everything looks smaller than on other devices we included in the video. Meanwhile, the ultra-affordable LeEco Le 2 we keep harping on handles the game at high settings with ease, outperforming midrangers that are twice as expensive. 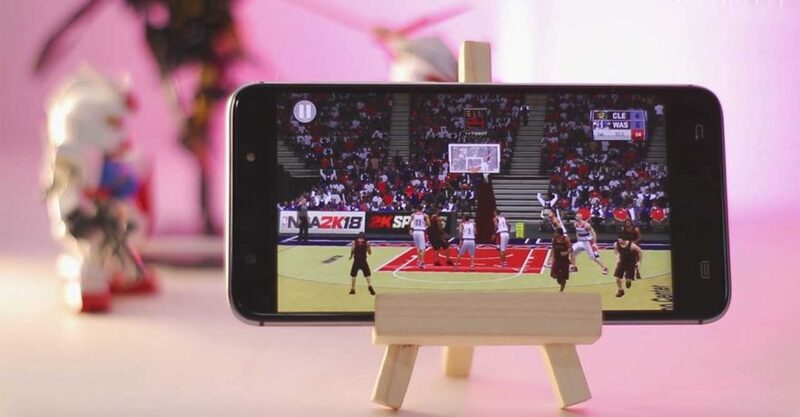 As for the minimum specs required to run NBA 2K18 properly, we found that the low-end Cherry Mobile Flare S6, which pairs a lowly MediaTek CPU with 2GB of RAM, is enough to make the app run smoothly, but at the lowest settings.